Our instruction manuals are available for any needs you should have. From general installation instructions to more specific instructions, depending on the product. If any small incident has arisen with our products, you only need to follow the path until finding the solution in our online technical service. To receive Technical Support, complete the following questionnaire with the required information and we will answer you within 24 hours. At GRB we strive to always offer the best service and quality to our customers. This is why at GRB we manufacture products under a 5-year warranty. Consult conditions of the GRB warranty in the following sections. 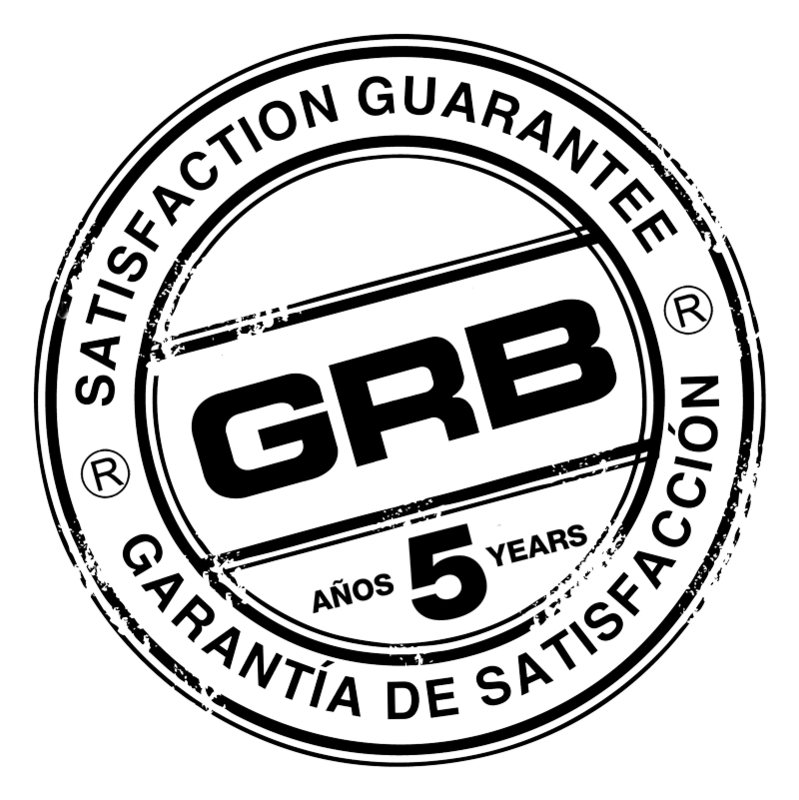 To guarantee the quality of its products, Griferías Grober S.L. has a meticulous control process emphasizing tests performed at the different stages of manufacture. All our new products are guaranteed for 5 years against manufacturing material defects for the mechanical and thermostatic range from the purchase date specified in the invoice. The warranty only covers use in conformity with the instructions for use. The products that have been used in public facilities are not included in this warranty and will be considered as improper “use”. An occasional failure must be indicated in the first weeks of use. Warranty coverage is subordinate to the proper installation of products in accordance with the technical instructions in effect, and always by a qualified professional. The warranty covers, exclusively and during the corresponding period, replacement of defective parts; or if this is not possible, replacement of the product itself or with another used for the same purpose; for this purpose, the buyer (through his/her distributor), must return the defective part by his/her own means to our facilities in Zaragoza (Spain). Likewise, the warranty is valid for products that receive proper maintenance (for example, changing of joints or cleaning of filters) and that are used under normal conditions, not being altered by the user or professional. Cases of improper installation, breakage or damage of the material due to improper installation, defective storage, etc. 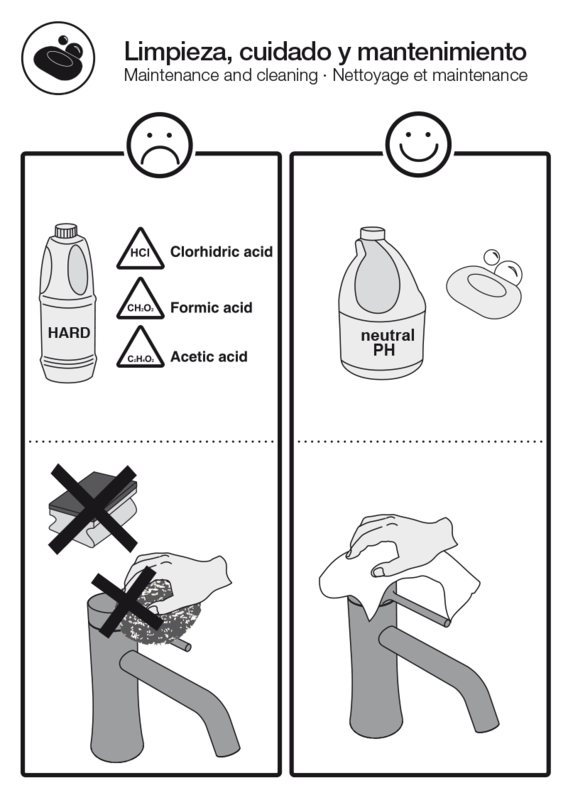 Cases of premature wear or deterioration of the product due to an external action (such as abnormal pressure, extreme atmospheric conditions, deficient cleaning or maintenance…) as well as use of aggressive cleaning agents, detergents or abrasives that contain hydrochloric acid, or bad water quality with high lime content or presence of foreign particles (gravel, sand, etc.). The consequences of unpredictable chemical or electrical phenomena. When our product is incorporated in an installation the warranty does not cover the rest of products that are not manufactured by Griferías Grober or defects in design, manufacturing or assembly of all of them in the installation as a whole. The leaktightness of the connections of the product to the existing water mains in the installation is the sole responsibility of the professional who performs it. The accidents resulting from defects in the manufacture of the product are covered by an applicable civil liability insurance policy. What will GRB do to resolve any incident? You can first consult our assistant to solve your incident. If you have not been able to solve it, consult your distributor or complete the following form. Do not use products that contain hydrochloric, formic or acetic acid to avoid damages. Avoid entirely the use of abrasive elements, such as sponges or microfibre cloths. If you keep our products in clean condition, you will prevent accumulation of lime. Certifies that GRB complies with the quality requirements stipulated by European Regulations. Certification of our products under the European rules issued by AENOR. Accredits that GRB projects are projects in Research and Technological Development. Sanitary Conformity Certificate, under the standard of the French Ministry of Health, which ensures that our tapware does not release toxic substances into water. Accredits flow control in ecological products. In 2012, GRB was selected to form a part of Ecolink + Business Club, a platform that brought together the 100 most eco-innovative companies of Europe.